Time to post. I did this for my CCNP, and I think it helped keep me focused and motivated to make my intentions public. Quick back story: I got my first IT job as IT support/jack of all trades in 2011. Six years later, I moved into my current junior network engineer role solely focused on networking. I earned my CCNA in March 2016 at the old job, started this job in June 2017, started studying for CCNP at the same time, and earned CCNP in August 2018. I decided to keep pushing for the top and go for the CCIE. A coworker is doing it as well, so we're trying to keep ourselves motivated. We have INE and Safari, so those will be my primary study resources. I don't have a real timeline yet, but I'm hoping my job sends us to Cisco Live this year, so that's my tentative goal date to take the written. This is pretty intimidating. There are many topics on the blueprint I've never touched, configured, or even know what some of the acronyms stand for, but that first step has to start somewhere. Sending support, encouragement, and positive vibes. Perhaps look to Keith Barker's training through CBT Nuggets? I love CBT for CCNA, somewhat so for CCNP, i haven't looked at their CCIE content yet. But i've heard feedback that they don't go deep enough at that cert level. They don't go deep enough at any cert level. Most of us need several sources. I will be on the CCIE path in a couple weeks so I will feel your pain soon. 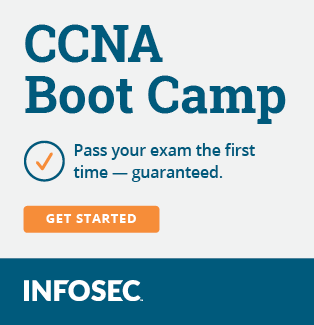 Take it a step at the time, and it's not a question of if you will get your CCIE, but when. We can do anything we put our minds to. Game on brother. Commitment is a huge part of it... I remember putting it off for years and then saying, "this is the year." Once I decided it, I did it that year. That was a long time ago. If you make it to Cisco Live I should have a session in the certification track called "The CCIE in an SDN world". At least, I'll have it if I don't bomb in CL Barcelona and Melbourne. Look it up, it should be interesting and relevant. I'm slowly but surely making my way through this sea of material. I'm starting off with the CCIE Written videos on INE. Taking a few notes, but I'm not going too deep on it. I'm treating this as a sort of primer for the material, a bit of a refresher to the CCNP material, plus a little extra. It's about 30 hours, and I'm 30-40% through it. I've covered layer 2, generic routing stuff, RIP, and EIGRP. I'm in the middle of an OSPF section now. This is all pretty high level though, not even yet to the detail that the CCNP videos went. After this course is when the real fun will begin. I plan on doing the INE advanced technology course, which is 100 hours, full of very detailed videos. I'll take a few of those at a time, trying to move incrementally. After watching a video or two, I'll do the accompanying labs on INE, maybe related labs on GNS3, and then hit the books, white papers, RFCs, etc, for the same material. So something like watch a basic EIGRP video, lab a basic EIGRP scenario, and read about general EIGRP from various resources. And then the later EIGRP videos will get more in depth with more options and features, and then I'll lab and read those as well. Rinse and repeat until test time. Well it's taken longer than I'd prefer, but I'm finally done with the 33 hour INE Written videos. I have tons of notes, and a mile-long reading list of various books, white papers, product guides, config guides, and RFCs. Next up is INE's 104.5 hour Advanced Technology Course. I plan to watch a couple videos at a time from each section, so that I can keep moving around to try and keep everything as fresh as possible. In between videos, I'll also be doing the associated labs, and then supplement all of that with related reading materials. I'm still targeting the written in June at Cisco Live, but I'm also still trying to take the "lab first" approach.